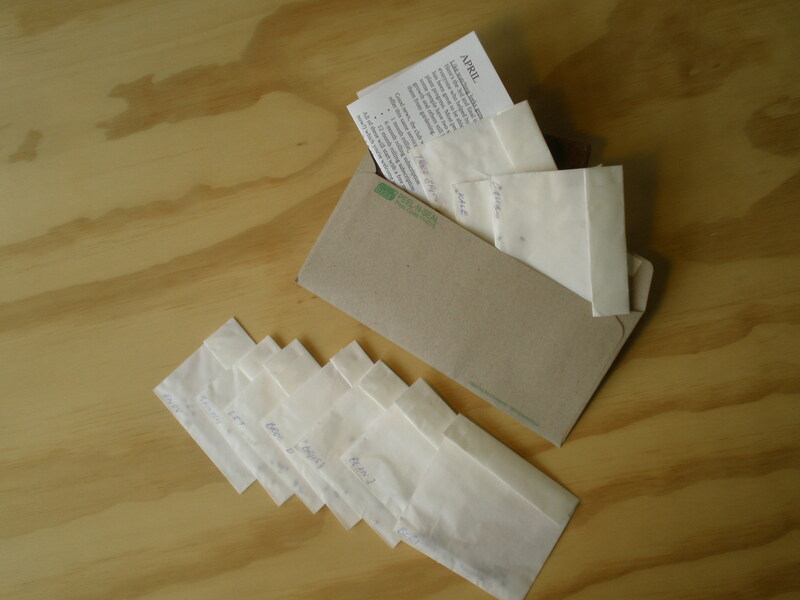 I’d like to provide one envelope with a variety of vegetable seeds which are appropriate to plant this month – every month. For a while I was helped by an email service which reminded me every month- which seeds I should plant that month. This worked a bit, sometimes I only got as far as sorting out all the seeds that were in the shed and then not actually planting the seeds I’d gotten out. Then I thought, instead of receiving a list each month, why not receive the actual seeds! I conducted a trial distribution with 10 friends, family and co-workers. I will keep documenting my experiences here under seed packer’s notes for other people who have similar ideas about distributing seeds elsewhere… anyone is welcome to get involved. or share this with someone you think might like to. This website remains for educational purposes, but we will not be taking any subscriptions at this stage. Read the project summary.